TU was founded in 2005 to raise awareness of Ayn Rand’s ideas among college students via a student newspaper. This paper has now been distributed every semester for the last 7 years on dozens of college campuses, giving tens of thousands of students the chance to see how Ayn Rand’s ideas apply to today’s world. In this time TU’s all-volunteer staff has helped to train dozens of writers, many of whom have become full-time Objectivist activists. TU is now expanding its mission to include the goal of creating and sustaining an Objectivist student movement. Therefore we are seeking candidates for the paid full-time position of Chief Executive Officer (CEO) to help reinvent the organization. * The new CEO will have the exciting opportunity to manage and lead an emerging student activist organization. We’re looking for someone well versed in Objectivism, and someone excited about crafting and implementing a new strategy for TU. Substantial experience leading organizations is preferred but not required. A candidate with experience of leading or actively participating in an Objectivist campus club is also strongly preferred, as is a candidate who is currently participating in or has completed the Ayn Rand Institute’s Objectivist Academic Center core program. 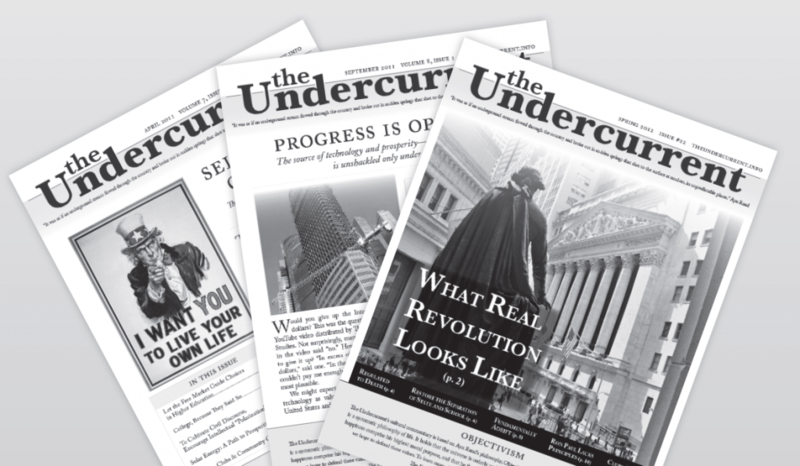 Anyone interested should please email an introduction to search@the-undercurrent.com by January 15th, 2013, January 18th, 2013. *Funding for the position is contingent upon identification of the suitable candidate.